Features - What Is The Memphis Group? What Is The Memphis Group? During a period in the late 1970’s when furniture design largely comprised grey and merlot tones, an abundance of tubular steel, and interwoven macramé hangings, there came one of the most important disruptions to the field: The Memphis Group. 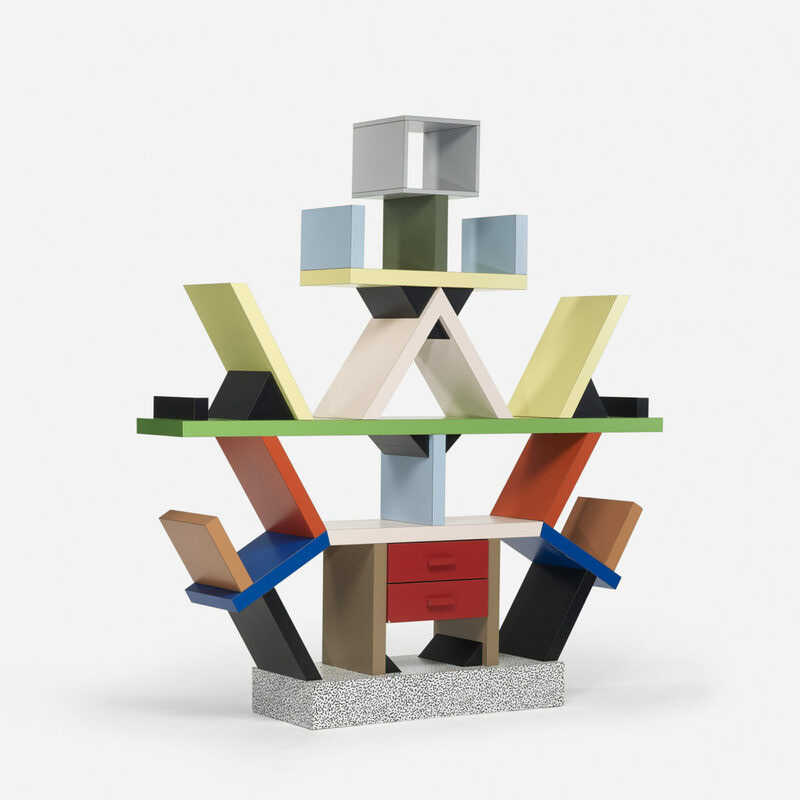 Founded in 1980 by Ettore Sottsass, the group was comprised of Italian designers and architects who collectively disagreed with the conformist and traditionalist style of design that was being so massively produced. They challenged the ideas that products had to follow classic and universal shapes, textures, and colours. Reacting to the severity of Modernism, their ideas and concepts grew into a movement bigger than they had envisioned. The group was born in December 1980, when a collective of designers, including Hans Hollein and Martine Bedin, got together in Sottsass’s apartment in Milan. Though it was meant to be a rather typical social gathering of friends, they all began sharing sketches of lamps and chairs, and conversation turned to work. After looking at everyone’s innovative creations, Sottsass suggested that the designers collaborate and make a collection with their new work. That night, they listened to Stuck Inside of Mobile with the Memphis Blues Again by Bob Dylan, hence the name, “The Memphis Group,” was coined. The new collection was ground-breaking, as the group presented techniques and colour schemes that had never been implemented or combined before. One of the group’s most famous designs is the Super lamp, which was a dark blue-painted, metal semi-circle with primary coloured, rainbow sockets in which six exposed light bulbs were fitted. Along the bottom were four wheels, which allowed for it to be moved around. It was made by Martine Bedin, who described the Super lamp as something “like a small dog that I could carry with me.” Another quintessential piece in the collection was the Bel Air Chair – a bright, candy-apple red armchair with a back shaped like a shark fin. 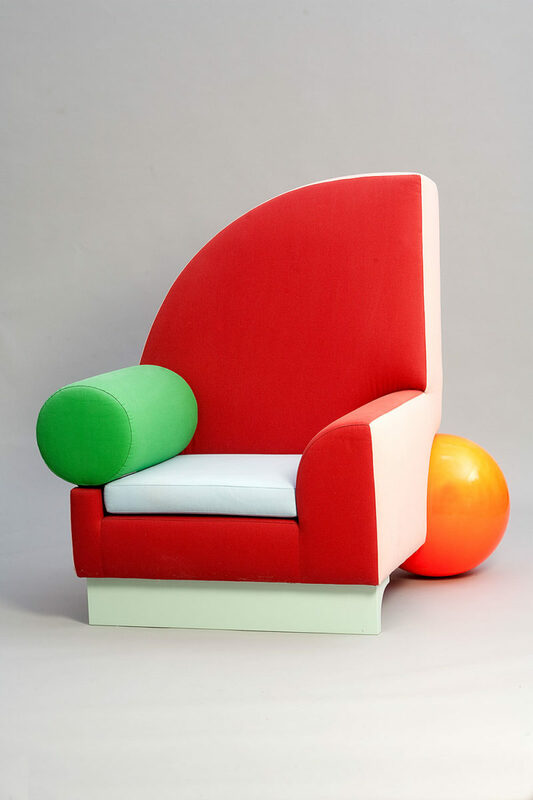 The piece challenged the traditional idea of how a chair should be made, comprising different shapes, and replacing a traditional chair leg with a neon orange wooden ball. Designed by sculptor Peter Shire in 1982, the title Bel Air Chair was named after the Hotel Bel-Air in Beverly Hills, drawing inspiration from the Los Angeles Art Deco scene. In September 1981, the group debuted their pieces at Salone del Mobile in Milan, an annual furniture exhibition and fair. Without a formal introduction or even a catalogue, people lined up and down the street that day to see them. Almost all of the furniture they displayed at the fair were prototypes, which was unusual at the time, since most furniture presented needed to be available for immediate, mass production. Because of this, there was very little individuality and sense of personalisation at furniture fairs. The Memphis Group’s designs were uninhibited and exuberant, featuring bold colourways and geometric shapes which gave their pieces a playful and sometimes childish look. Many continue to be inspired by the designs of The Memphis Group; Supreme and Christian Dior, among other labels, have released collections based on the group’s work, using the same bright colours and signature motifs that they became famously associated with. 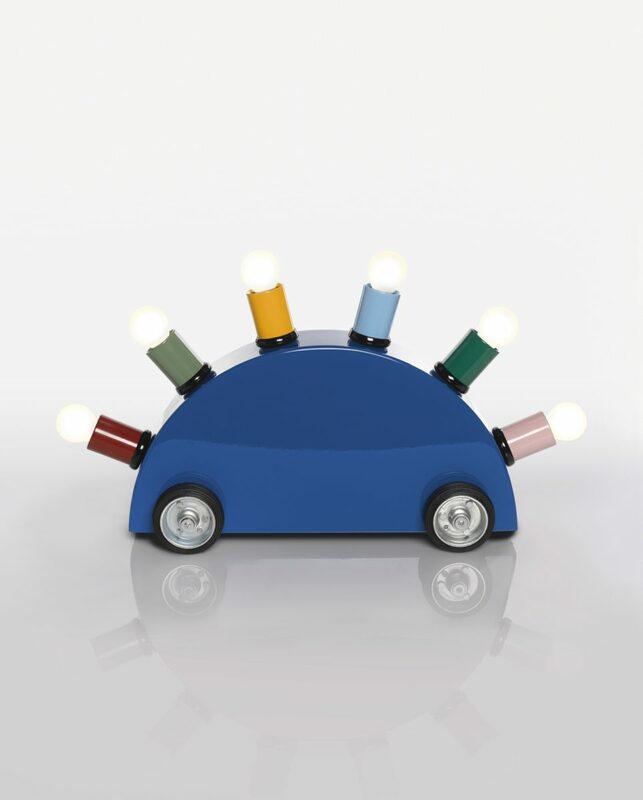 Recently, some of The Memphis Group’s original pieces have been shown in exhibitions at New York’s Met Breuer and London’s Design Museum, showcasing some of their most famous and rare designs. Another platform highlighting the collective’s influential output is the Instagram account @ettoresottsass, a library of images dedicated to the history and archives of their work, as well as projects inspired by the group’s aesthetic sensibilities.